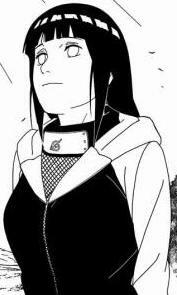 As Hinata, Temari, Kankuro, and Yamato jumped from roof to roof, the young Hyuuga activated her Byakugan. They were all that was left of the team, and now they were on their way to see what had become of the others. As they approached the Raikage's tower, Hinata expanded her field of view and examined the area. She quickly caught sight of Shino and Sakura. They were both unconsciouss, but apart from that, relatively fine. There was no sign of Kaori, however. "I've found Shino and Sakura..." the Hyuuga would inform Yamato. She then gave him the specific location of each one: Shino resting on a mountain edge, and Sakura inside a building. What was left of the shinobi were aproching the Kage's tower and Hinata was one step ahead of Yamato, having already activated her Byakugan. She found the location of both Shino and Sakura but Kaori was no where to be found. "Hopefully she made it to the tower.." Yamato whispered to himself. Coming to a stop ontop of a rooftop Yamato would begin. "Alright, Hinata, take Temari and Kankuro to Sakura and see how she is doing and if you can wake her. But don't use up to much chakra, hopefully she'll have enough to heal herself. I'll get Shino and bring him to the rest of you and we'll do our best to heal his injuries." Forming a single hand seal Yamato put his right palm right above the rooftop. He removed his hand revealing multiple small wooden balls laid out. "Each of you step onto these. They will get stuck under your sandles and I will know where all of you are at every moment. Don't move until I get back. Alright, move out." Temari and Kankuro stepped over the tiny wooden balls and once Hinata did so, they would follow Yamato's orders and move out to Hinata's locations. Hinata picked up 1 of the seeds and wedged it under her boot. When Yamato ordered them to move out, she turned and jumped away first to lead the Sand siblings. Jumping from roof to roof, the 3 of them would eventually land onto a building that had a small hole in it. Hinata jumped down through the opening and landed in a crouch on the wooden floor inside. Not to far from her was Sakura, lying on the ground with some rubble around her, and she appeared to be unconsciouss. The Hyuuga walked up to her fellow Konoha-nin and took a knee next to her. "Sakura-chan, are you alright...?" Hinata asked as she gently shook the pink-haired girl to try and wake her. Yamato found Shino exactly where Hinate said he'd be. Shino was laying unconcious on the edge of a mountain. Yamato checked his pulse and was glad to see he was still alive. Picking Shino up, he would put him onto his back and hold his legs much like Gai would always do. Getting the coordinates of where the other three went, Yamato would begin jumping from roof to rooftop heading towards them and at the same time trying to wake Shino up. Meanwhile, Sakura woke up to the sight of Hinata over her. Looking confused and a bit dazed, Sakura brought her upper body up as she held her head with one hand because she had a headache. "Uhhh... where am I?" Sakura asked. "Inside some building. You look like a wreck" Temari said leaning on her fan with a smile. "Temari? Kankuro?" Sakura questionned. Now she was really confused because she remembered that the three shinobi infront of her had all gone to different areas before. But now they were together, so they must have all completed their tasks. Slowly getting up Sakura would grunt as he right shoulder had been dislocated from the impact of smashing into the building. Grabbing her arm with her left hand, with one nice push she relocated her shoulder after letting out a screech of pain. Then she started healing her injuries. "What has happened?" Sakura asked wanting to know what happened while she was at the tower and knocked out. Hinata was barely able to watch as Sakura relocated her own shoulder. The pink-haired girl then asked them what happened. Hinata could see that Yamato was already on his way with Shino, but she figured she could start briefing Sakura anyway. "The Akatsuki arrived while we were engaging the enemy. We met 3 of them. Temari, Chiyo and Lee were able to defeat 1, but the other 2 got away and were heading towards the Raikage's tower... Lee and Chiyo were too injured to contiue, so we left them behind in a safe place." By the time she finished that last sentence, Yamato would have arrived, so if Sakura remembered anything, now it would be her turn to share. "Akatsuki..." Sakura said remembering what happened as Yamato jumped down into the room with Shino on his back. "I remember now" Sakura said when she saw the unconcious Shino. "We were fighting an Aburame, she was the one controling all the Kumo forces. Then out of no where Itachi came and thats when things got bad. Shino and Kaori were together whenI last left them, where is Kaori?" Sakura questionned. Yamato laid Shino down and said "there was no signs of Kaori. Hinata did not even see her with her byakugan." "Then she must have gone in for the Aburame again" Sakura said. "Sakura, I need you to take a look at Shino and heal any injuries he has" Yamato stated as Sakura walked over to him. Taking a look at him Sakura simply analyzed his body. "He's not really injured, I just think he's unconcious from his lack of chakra" she said as she reached into her pouch pulling out a small wrapper. Opening it up there were three military ration pills. "I'm sure you know what these do, they replenish both chakra and stamina. With this he should be fine" as she took one and slowly fed it to Shino. "There is still two more and I don't need one. I haven't used that much chakra since the pot thing" Sakura stated, willing to give it to anyone who needed it. "Hinata, you take one. You've used up a lot of your chakra" Yamato ordered. "I'll take one as well, used up more then I thought fighting the Kumo nins and the Akatsuki dude" Temari entered. Sakura handed the two pills to her female teamates as they ate them. "If Itachi's here, that means Kisame is here as well. We took one of them down so now we are dealing with three more, as well as the people behind this mess" Yamato said. "So we won't be able to just barge in otherwise we could all die. We need to be quite, make sure no one knows we are there. Remember, our main object is to retrieve the jinchuriki and nothing else. Hinata, we'll need you to analyze what's going on once we get to the tower. 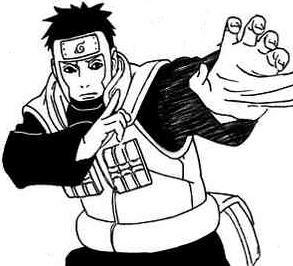 Temari, you're going to use transformation jutsu to turn into the Akatsuki member you fought. You fought him longest, you know how he acts." "Yea, he's got quite the mouth on him" Temari said with a smile. Once Shino was up and ready Yamato would leave the building knowing the rest would follow. This would be the last act to decide whether they complete their mission or not. "No, thank you, Sakura-chan..." Hinata said when Sakura tried giving the Hyuuga a Soldier Pill. "I already took one, so taking another will not have any effect, it might put more strain on my body." the white-eyed girl explained, still grateful for the offer. A few moments later, Yamato explained his plan. It basically consisted of trying to sneak by everyone, get the jinchuriki while a disguised Temari distracted them, and then trying to escape. It was a long shot, but it was their only shot right now. Soon, all of them would be inside the building, and Hinata brought her hands together to concentrate on Byakugan! Being able to see everything inside of the tower now, she quickly took analyzed everything and began giving the information to Yamato. "There are 2 Akatsuki members at a sealed door, one of them with blue skin is trying to break down the seal with the help of a black... creature. The seal is preventing me from seeing what's inside the room... A floor up, there are 2 battles going on. Kaori is fighting a woman who appears to be an Aburame... The other battle going on is between the brown-skinned Akatsuki member with a mask, and a man in a red coat. The man has Umi... she's severely injured and unconscious." Hinata concluded, a little shocked at all that was going on. She was thankful to not be the leader of this mission.